​We would like to welcome you all to the school website for Scoil Oilibhéir Naofa in Kilcloon. 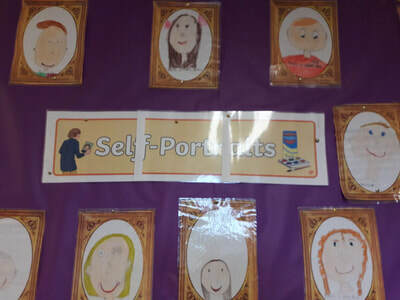 We trust this website will prove another effective channel in communicating the latest achievements of the pupils in the school and in communicating necessary announcements quickly and effectively.This site has been produced with the express purpose of sharing information with parents concerning school policies, events, rules and routines. 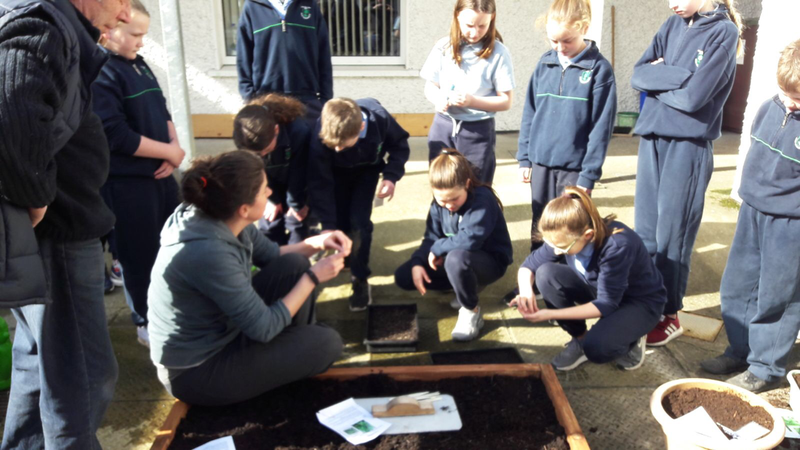 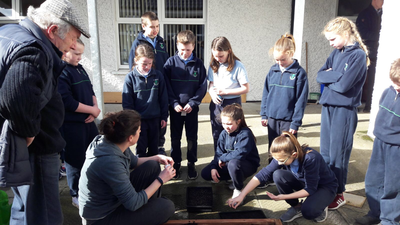 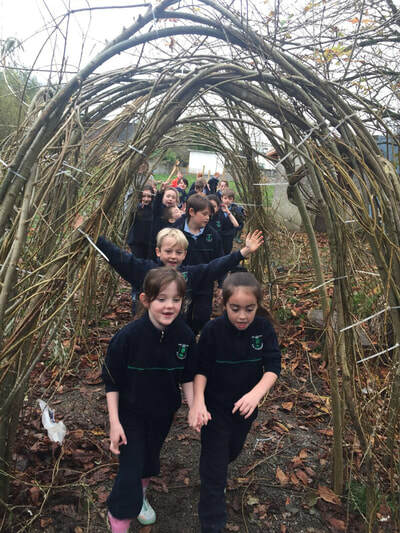 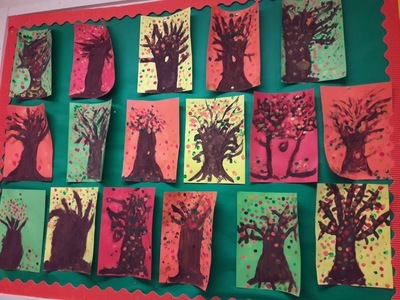 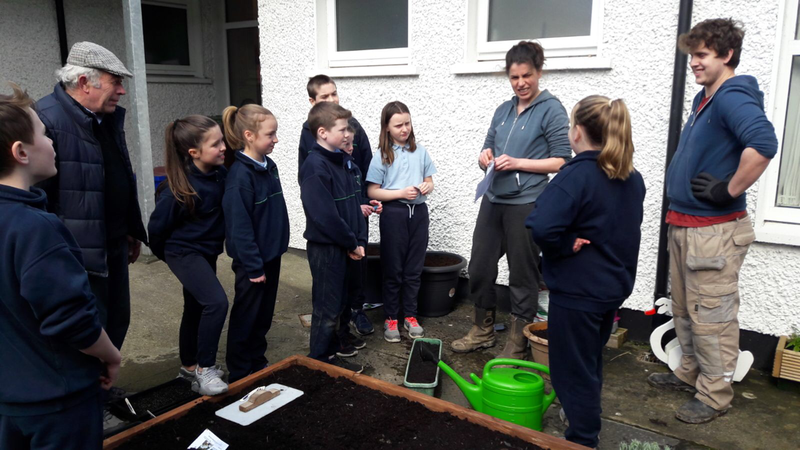 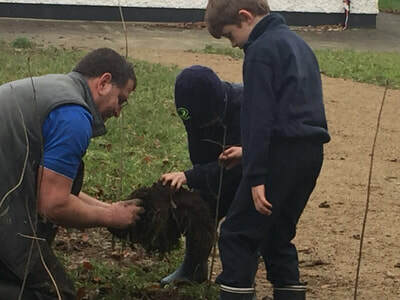 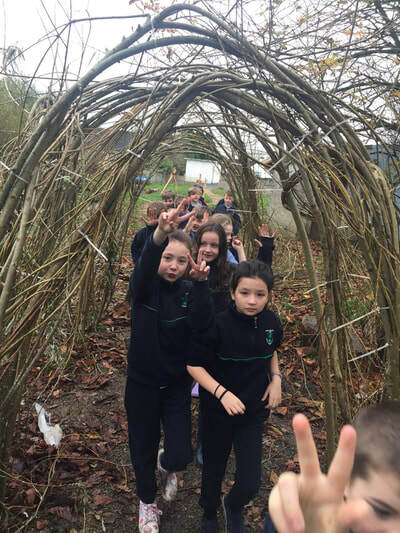 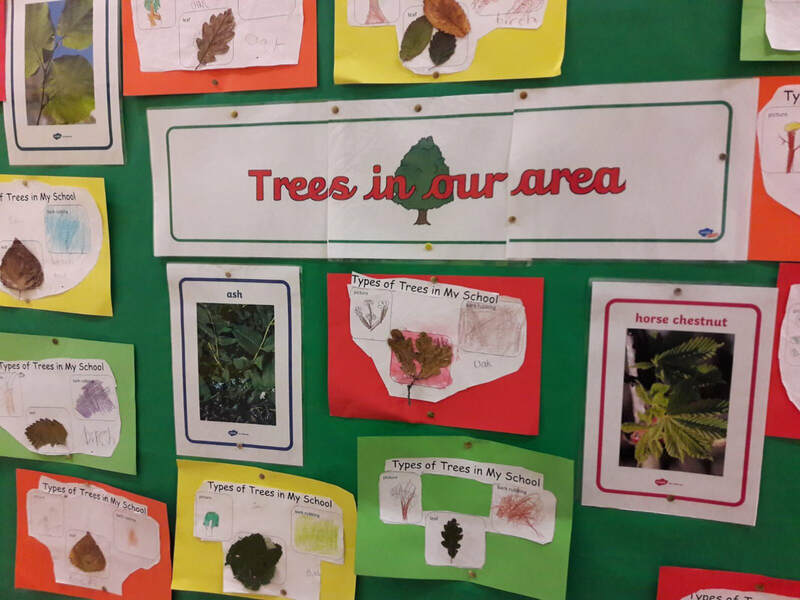 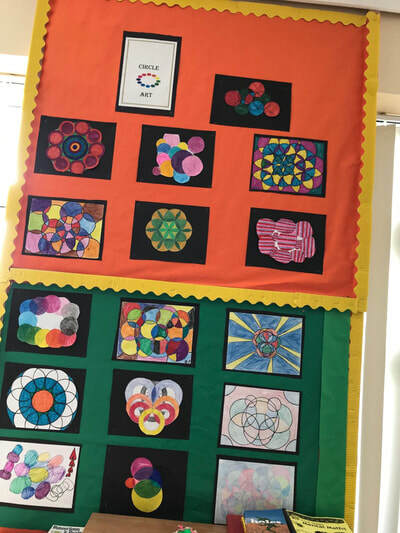 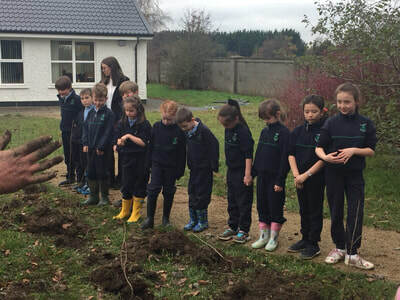 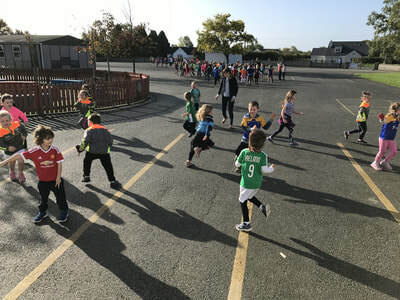 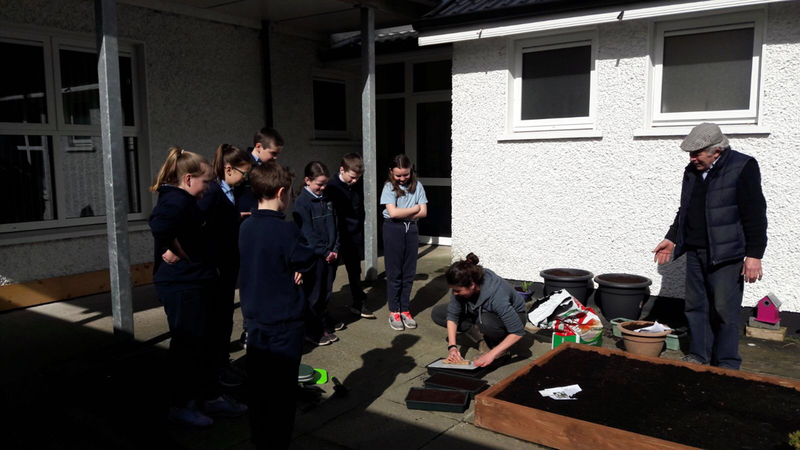 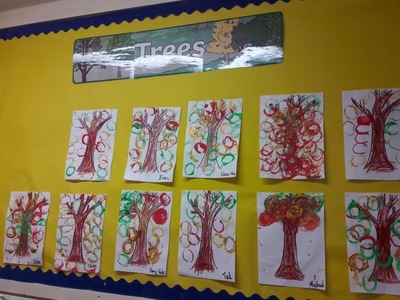 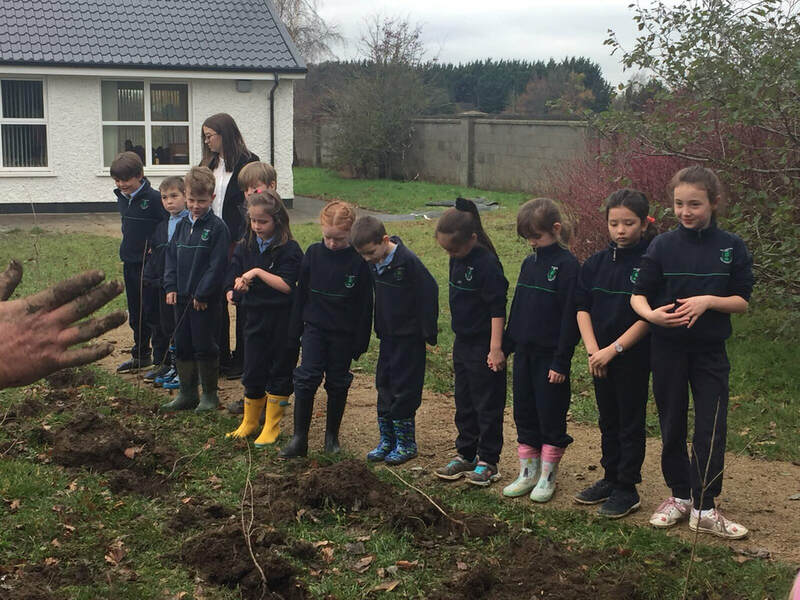 Scoil Oilibhéir Naofa is a Catholic, Primary school that strives to provide a well-ordered, caring, happy and secure environment where children can enjoy their schooling and which facilitates the nurturing of each pupil's full, educational potential. 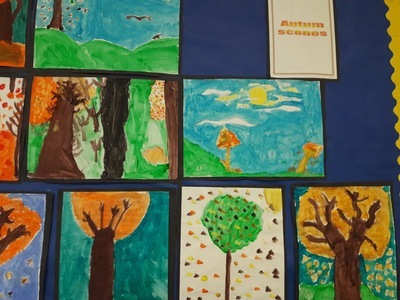 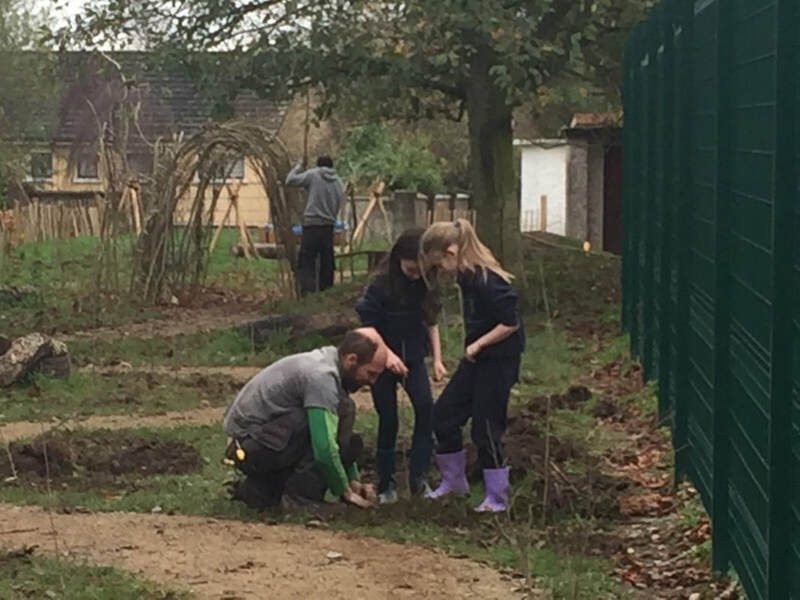 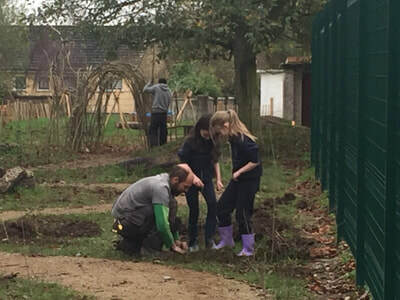 The aim informs all of the planning processes and activities which occur in our school. 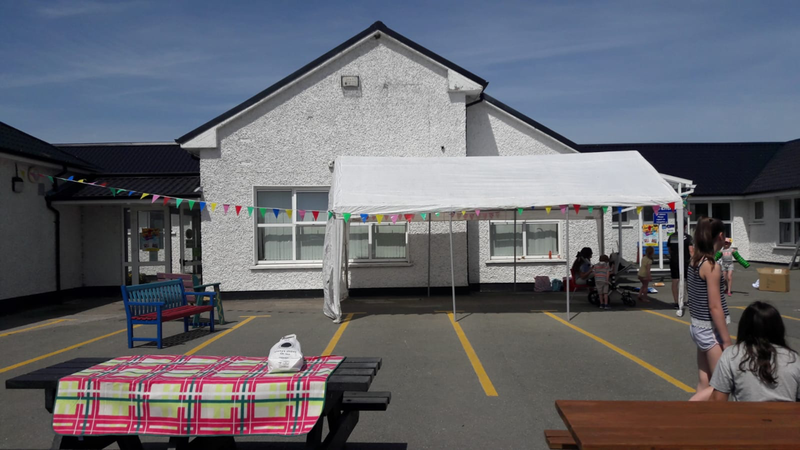 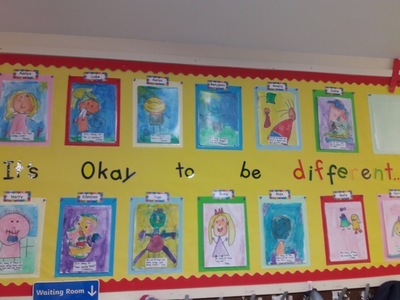 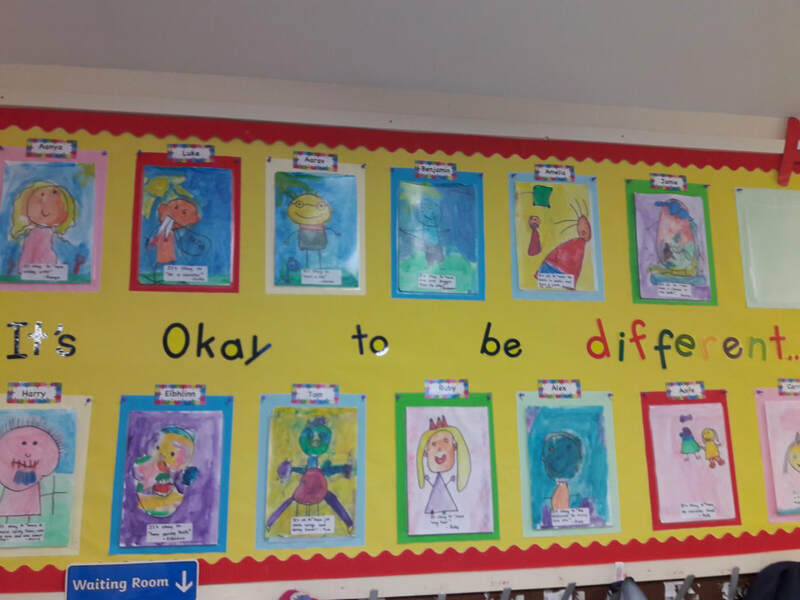 Scoil Oilibhéir Naofa aims to provide an equal educational experience for all its pupils regardless of race, religious affiliation, social status, intellectual ability, special educational needs, disability or family circumstances. 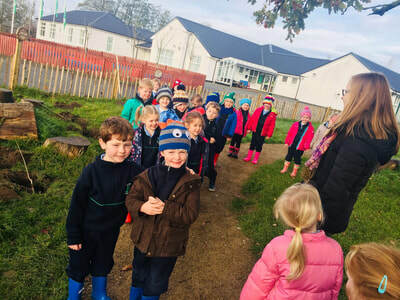 Teachers and parents are partners in the children's education, with co-operation and communication between home and school being vital ingredients in the educational process. 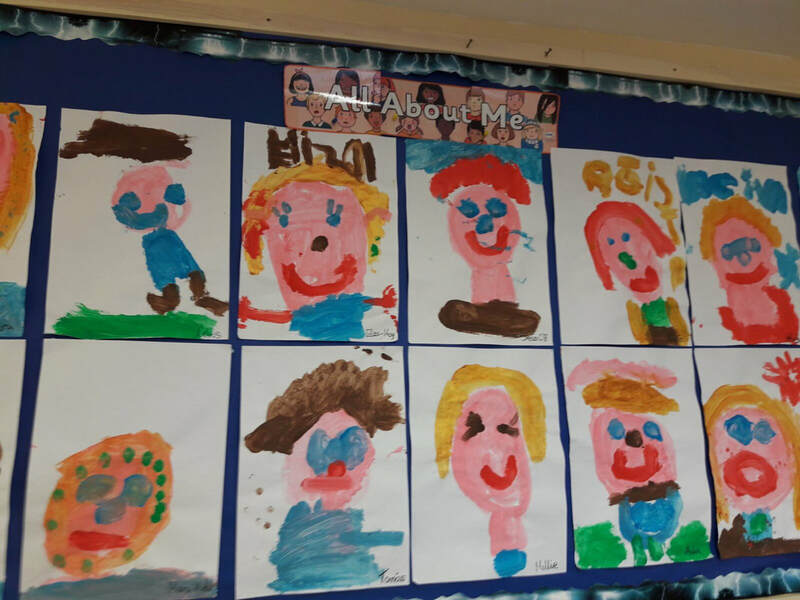 We share the same aim - the well being of the children in our care. 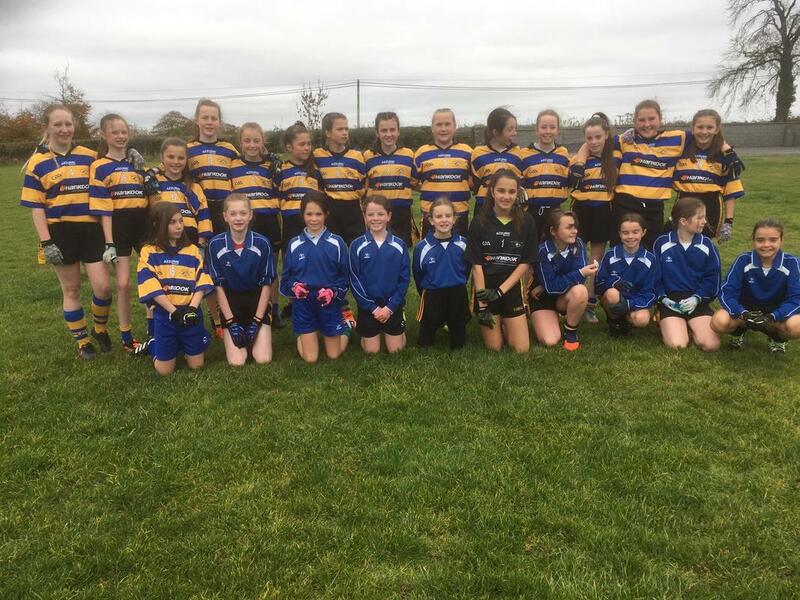 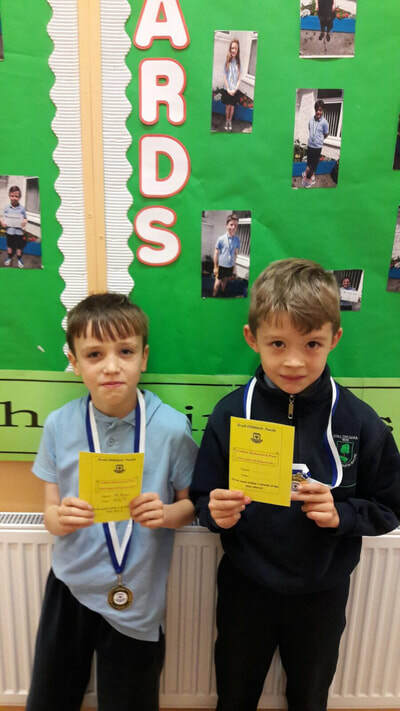 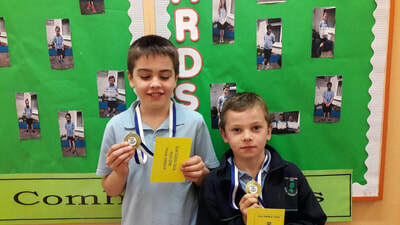 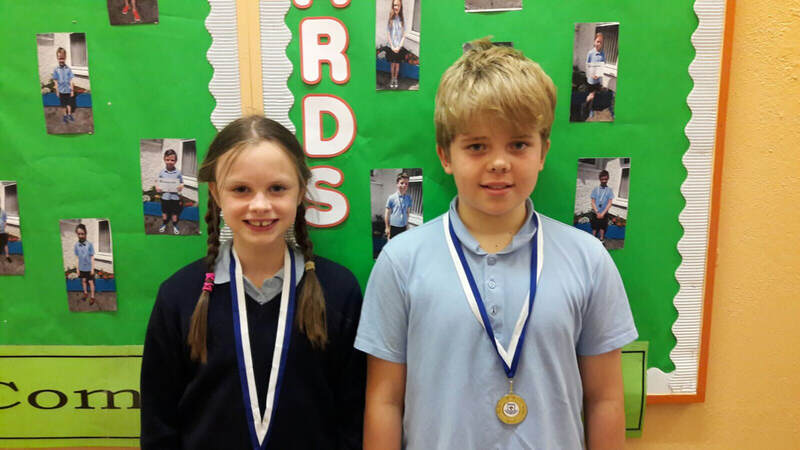 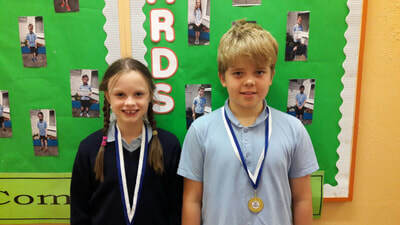 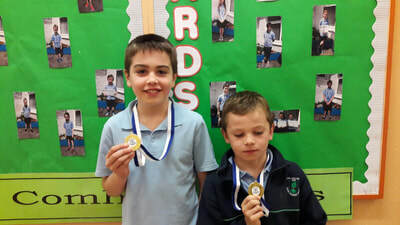 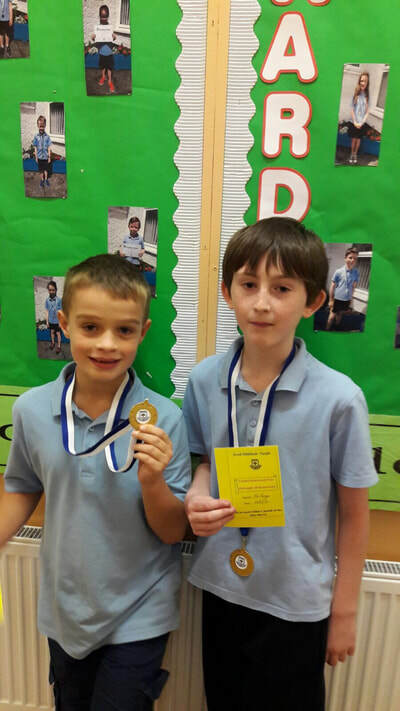 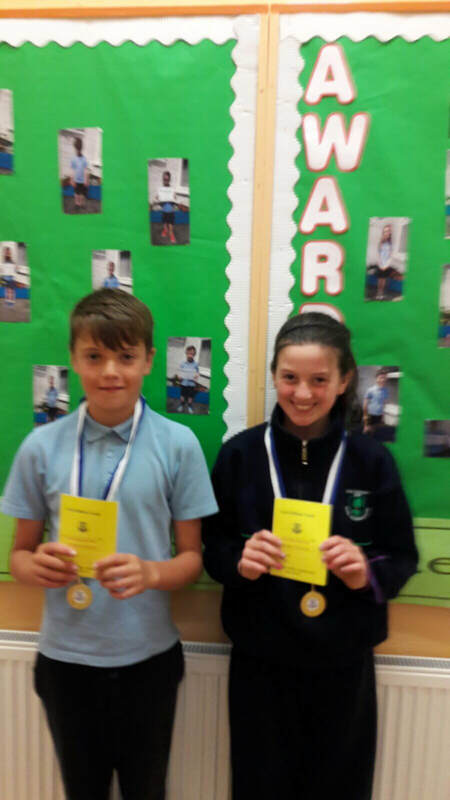 Well done to all the children who represented the school in Navan on Friday 22nd March. Thanks to Mrs Cornyn and all the teachers as well as the parents (and one dog!) 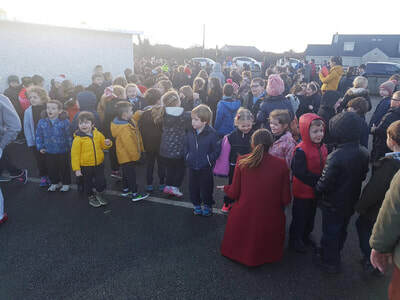 who attended and cheered everyone on! 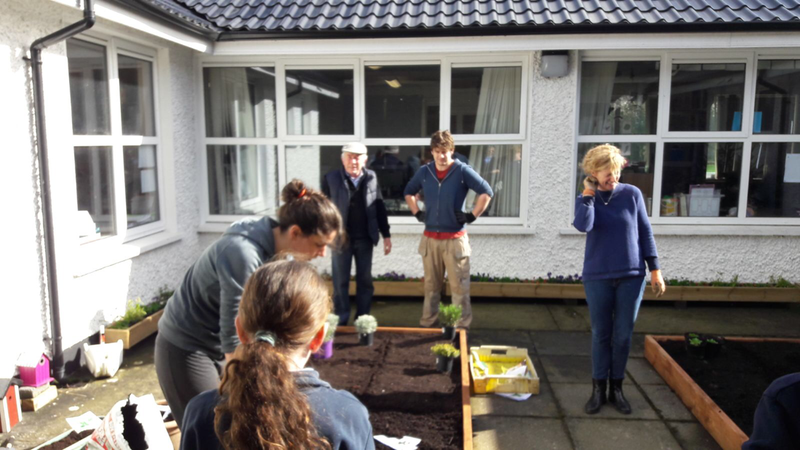 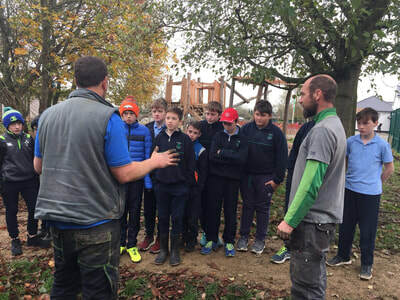 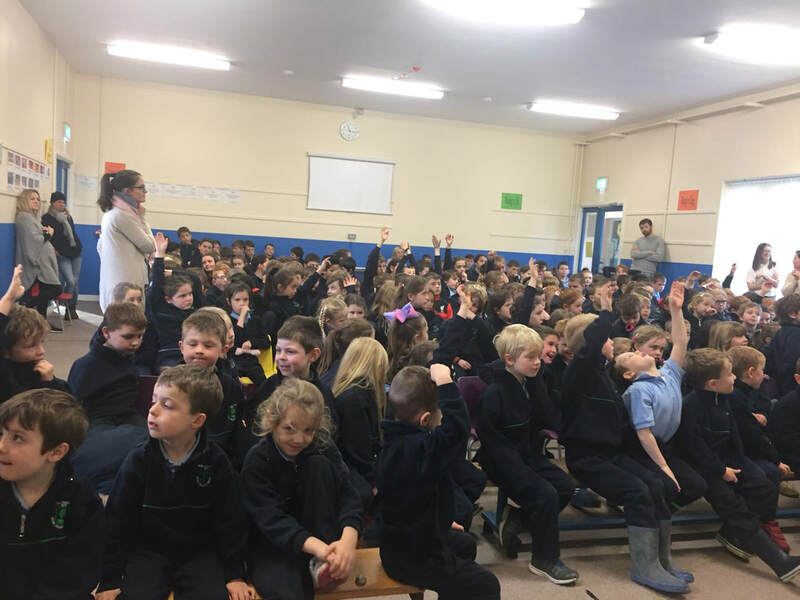 Scoil Oilibhéir Naofa was delighted to welcome Mr. John Horan to our school on 12th March 2019. He had a full schedule while he was here! 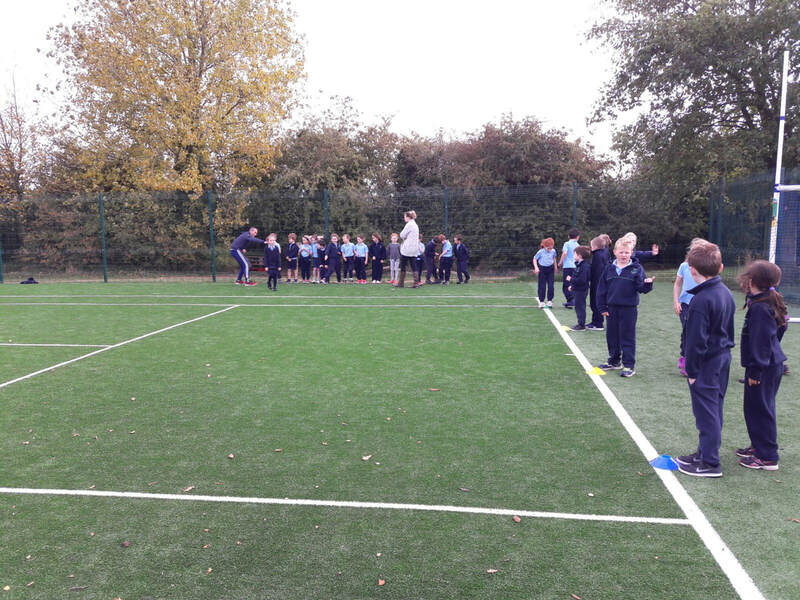 He officially opened our astro pitch, presented the winning girls' football team with their medals and raised our Active School Flag. 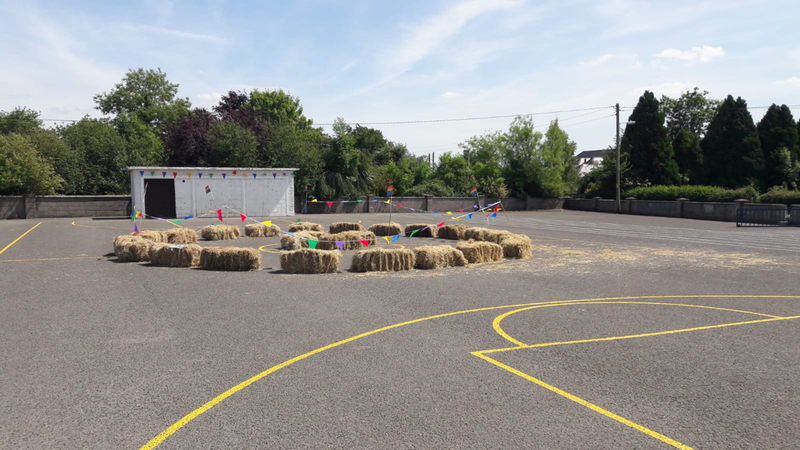 It was a memorable day that will be long remembered in the school. Thank you everyone involved in making the day such a success. 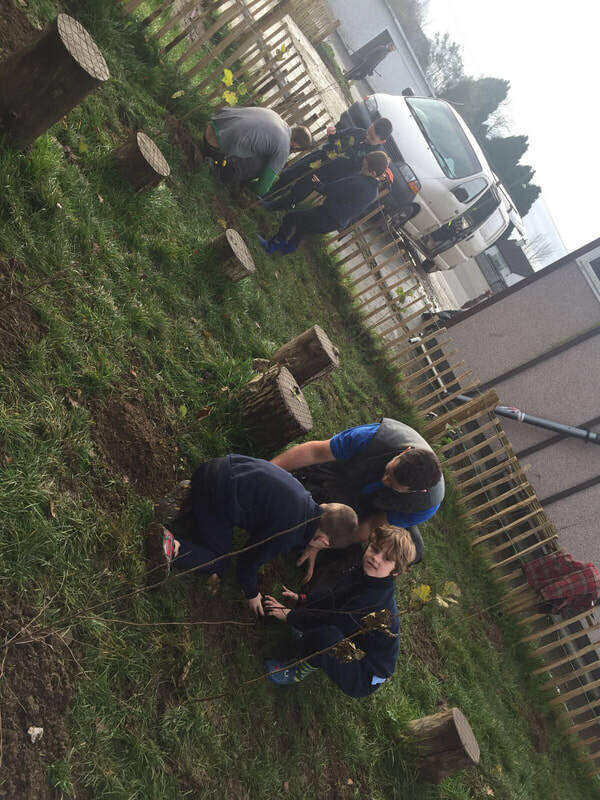 Have a look at the video below to see the highlights from the day. 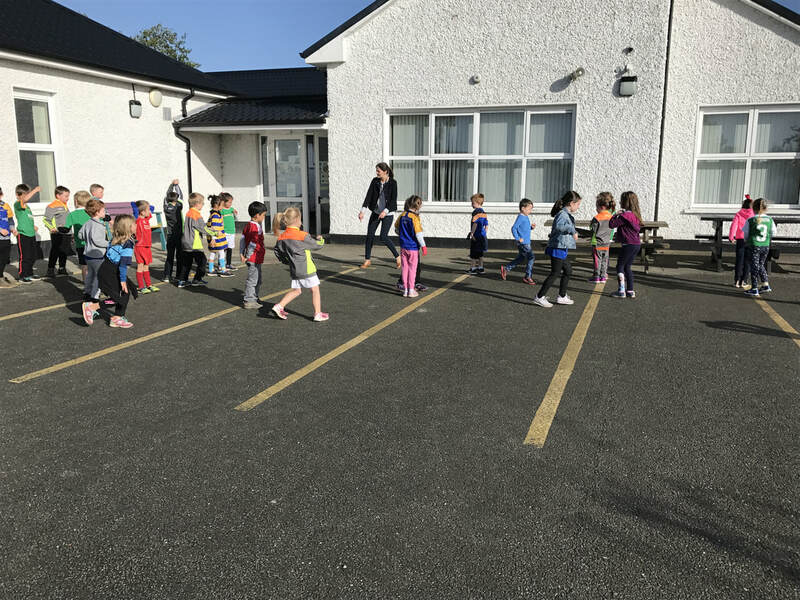 Best of luck to Mrs Fitzsimons! The children in Senior Infants led the school in a fabulous rendition of ‘Shotgun’ as part of our send-off to this amazing teacher! We had a special ‘Up For The Match’ assembly today! 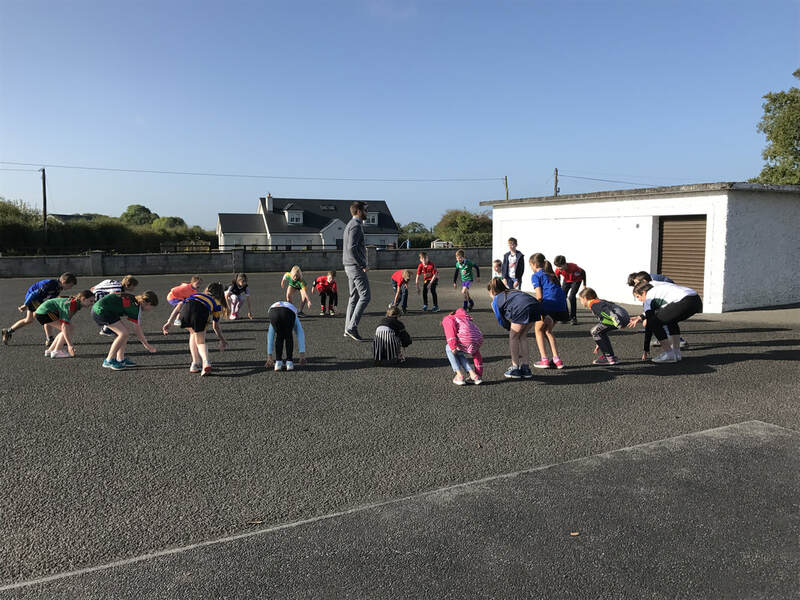 Motivational words from past pupil Donnacha Tobin and from Mrs. Keane. 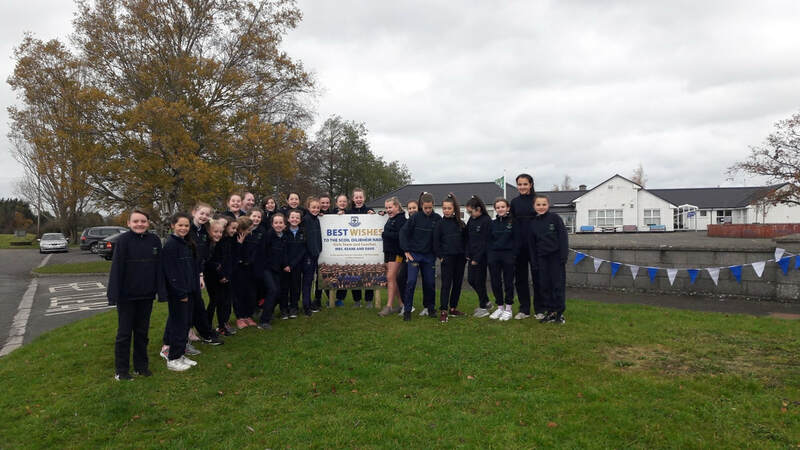 David Lambert was presented with a school jacket to acknowledge his assistance in getting the girls this far. 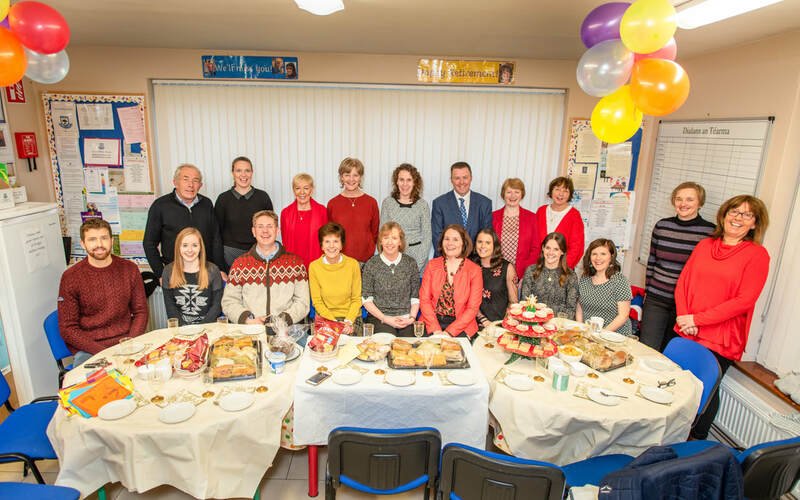 A wonderful occasion for everyone present. 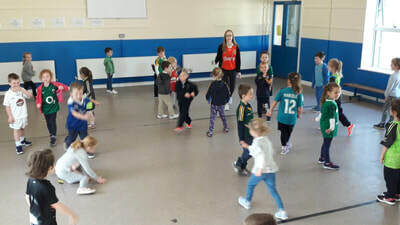 Coill Chluana Abú! 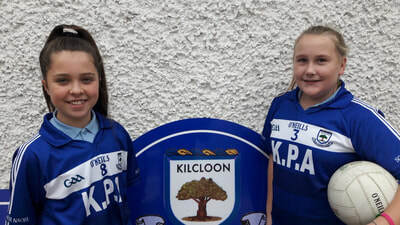 We are counting down the days to the Girls' Football Final on Saturday 17th November. 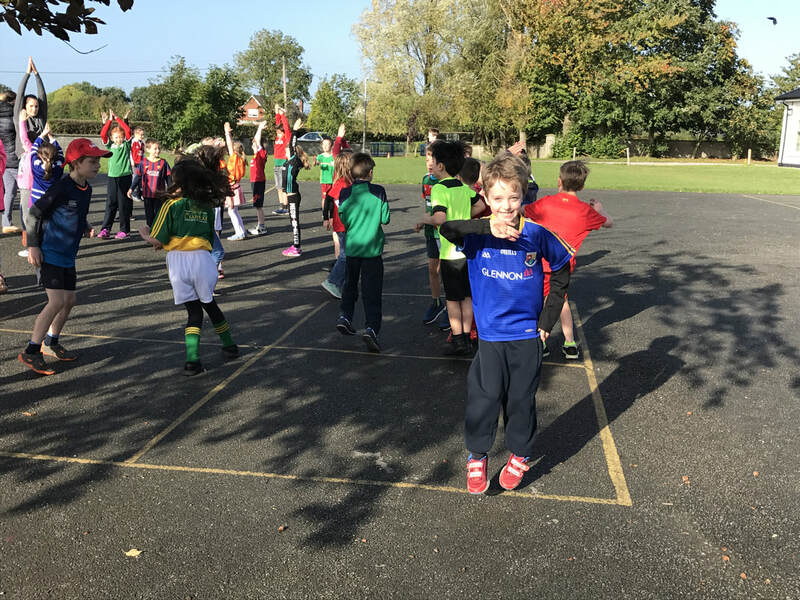 The excitement is building and we hope to see lots of supporters in Páirc Tailteann on the day! 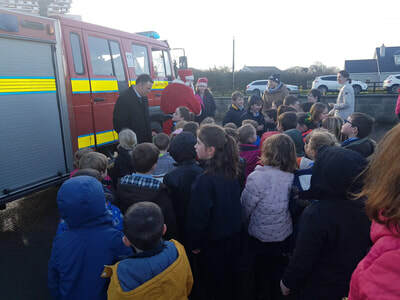 The theme of the assembly was 'Care in the Community'. 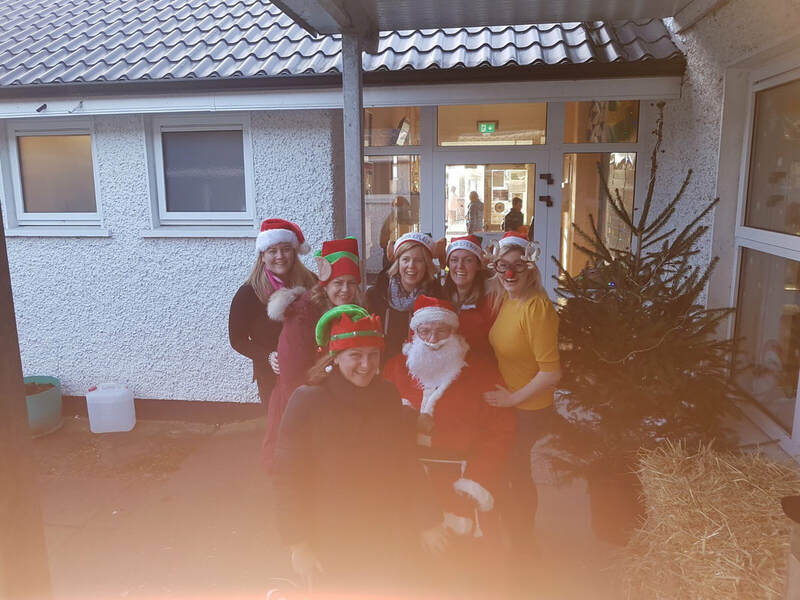 Thank you to our special guests who took time out from their busy schedules to explain to us their roles in caring for us and our pets. Preparations are well under way for tomorrow’s Family Fun Day and the official opening of our Playscape. 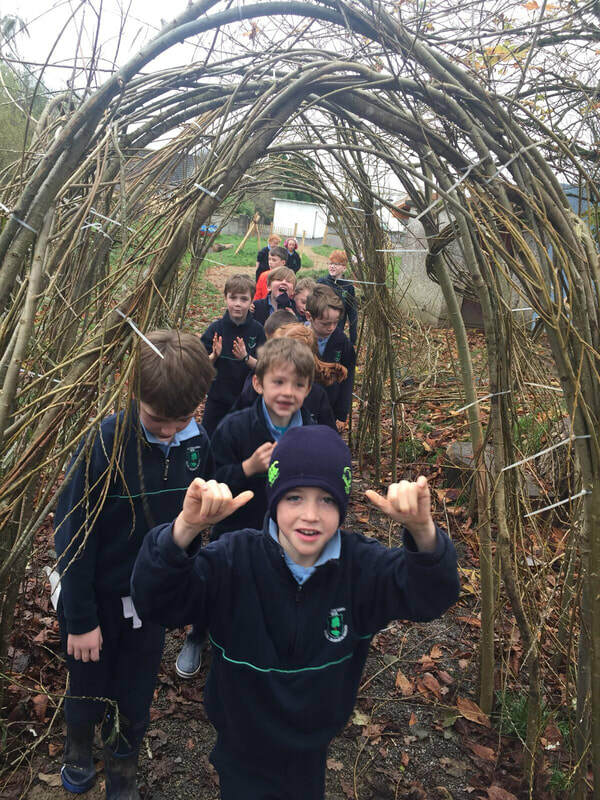 Junior and Senior infants enjoyed their Outdoor Classroom activities as well as a Teddy Bears’ Picnic. 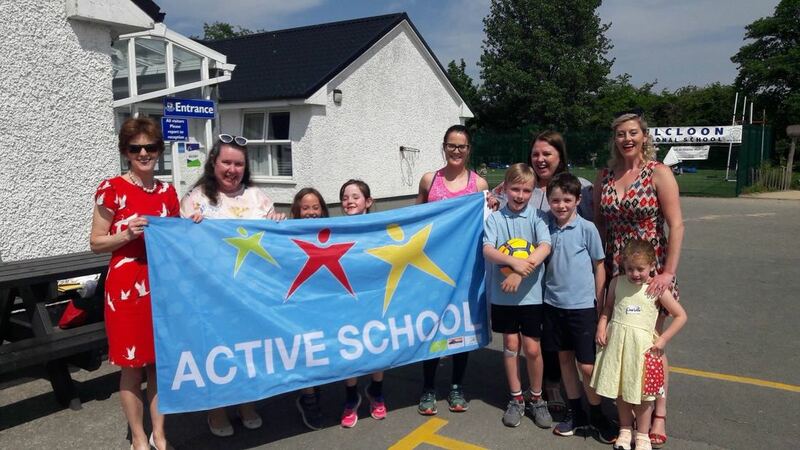 WE HAVE BEEN AWARDED THE ACTIVE SCHOOL FLAG! Thank you Mr O Connor for organising soccer stations in the lead up to the World Cup. 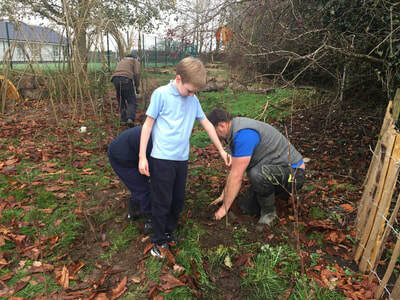 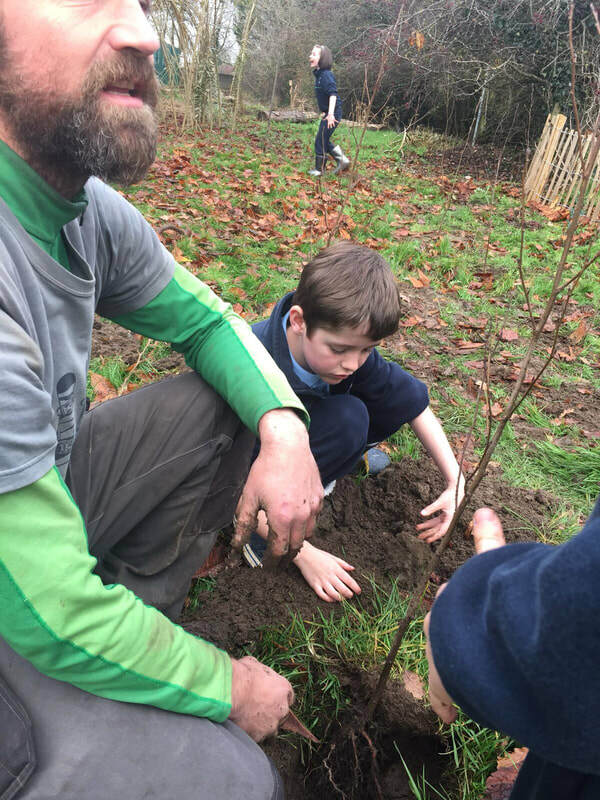 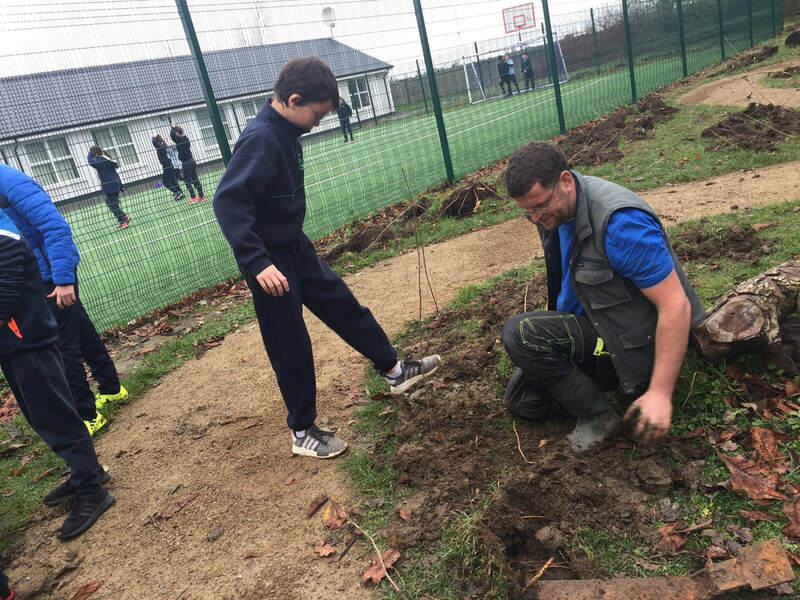 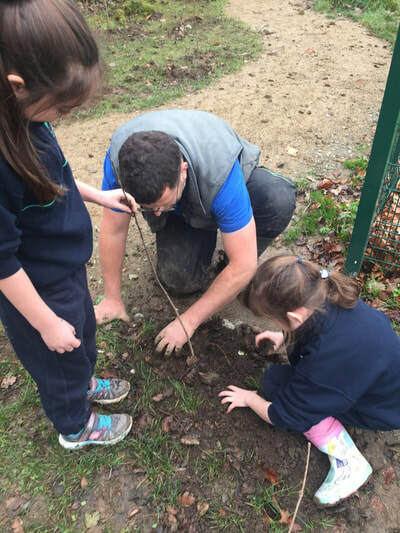 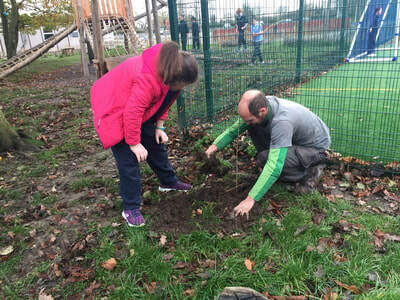 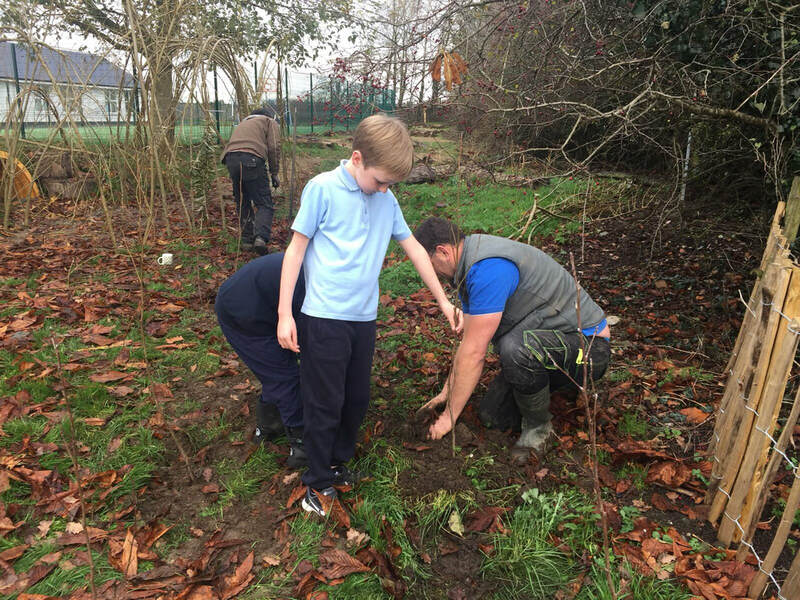 He was very ably assisted by the children from 5th and 6th classes. Well done everyone on a very successful Mad Hatters Walk! 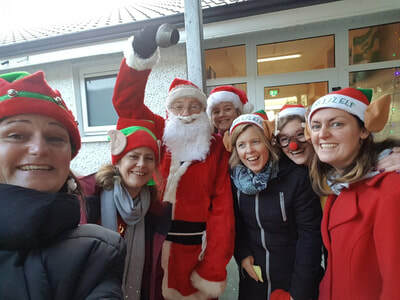 Some very creative hats appeared and over €4000 was raised for the School! Ellie, Cian and Jack Porter, cousins of Max,Phoebe and Layla, stunned with their Irish dancing talents. We wish them well in the Worlds next week. 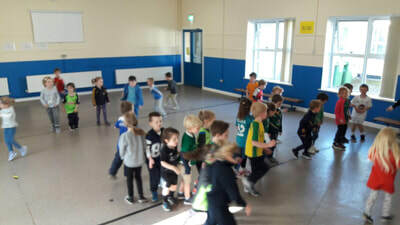 Junior Infants performed Riverdance for our visitors! 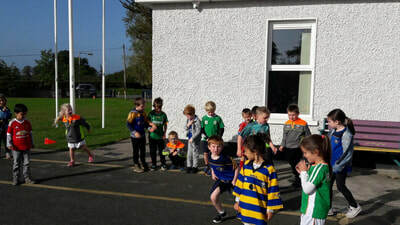 Beannachtaí na Féile Padraig oraibh! 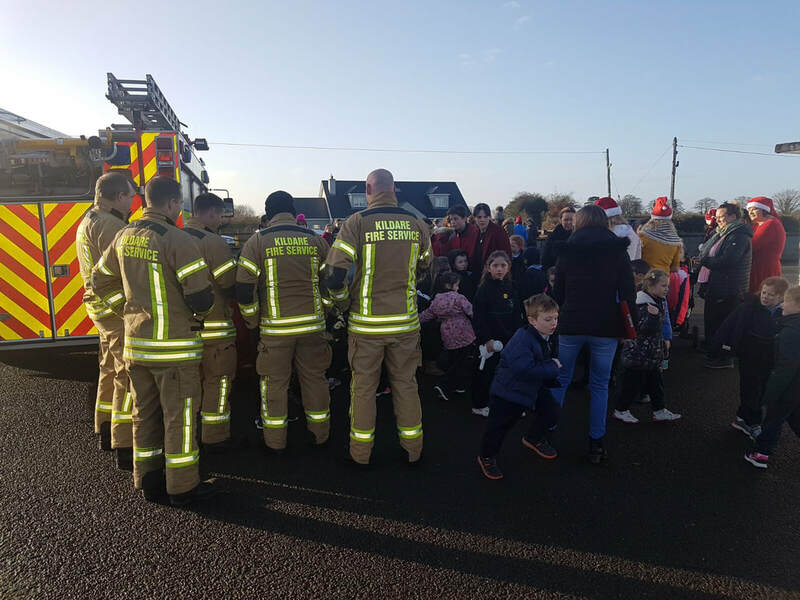 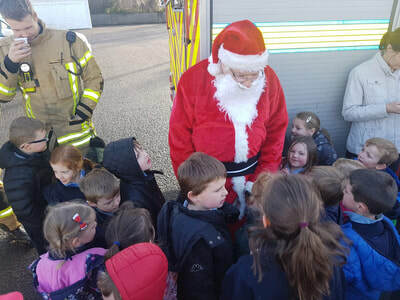 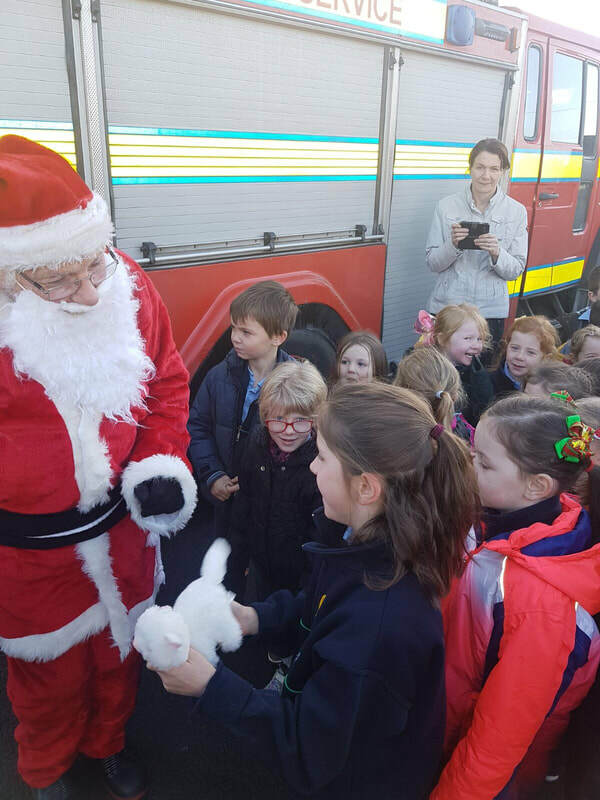 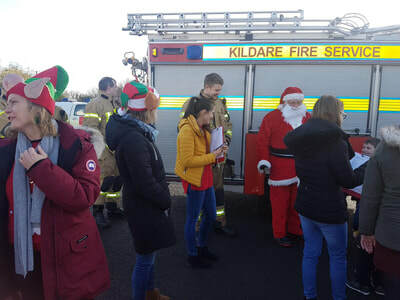 Once again we were very lucky to have a visit from Santa. 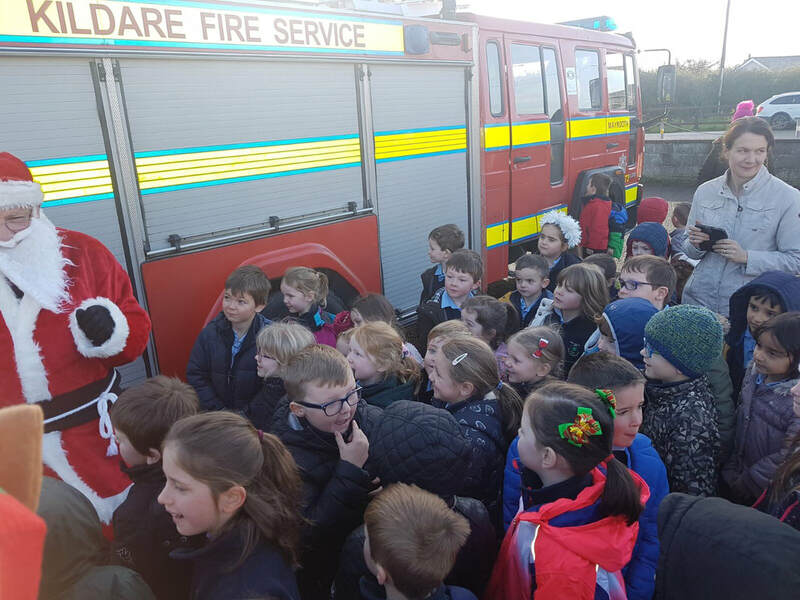 He made a grand entrance on the Fire Engine! Thanks to all involved in organising the visit. There was a fantastic response to the recent collection - a massive 40 bags plus, almost double last year's collection. 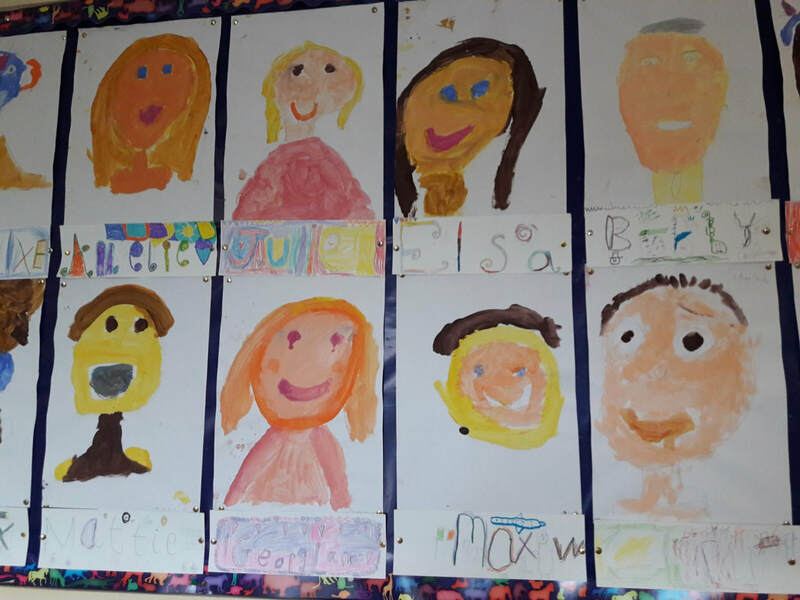 Sincere gratitude for your kindness. 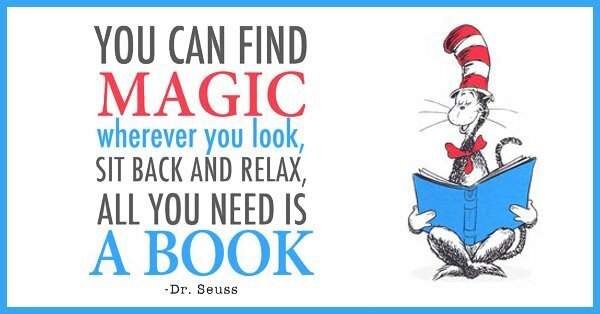 A huge 'Thank You' to all the volunteers who assisted with the recent Book Fair. Once again it was a huge success. 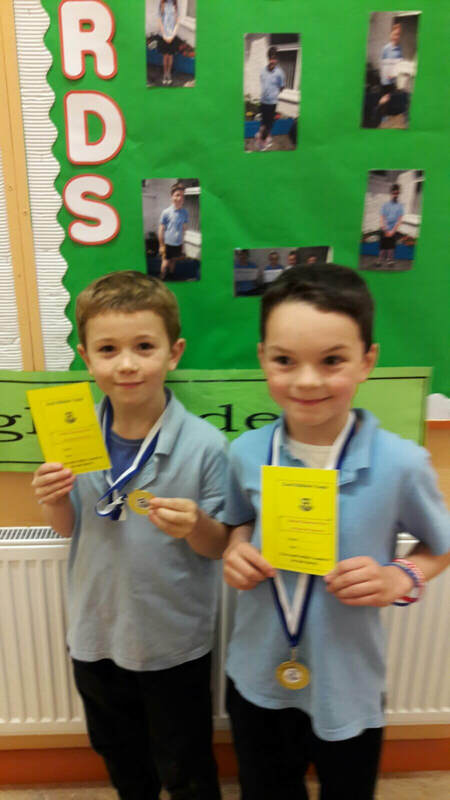 60% of the monies raised reverts to the school to purchase library books for each class library. 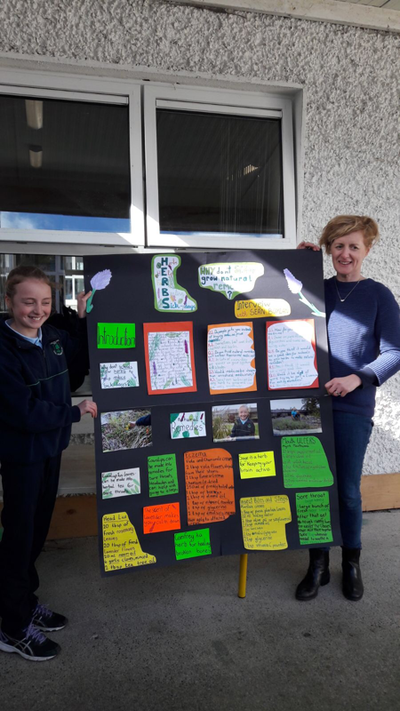 Thank you to the Foley family and Future Plastics for their kind and generous sponsorship of signs for around the school. They will be a great added feature around the school grounds. 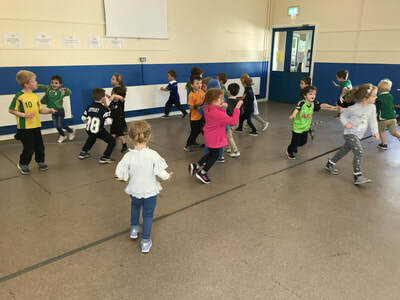 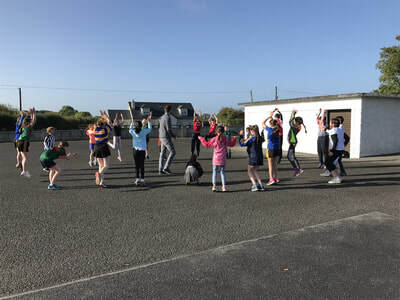 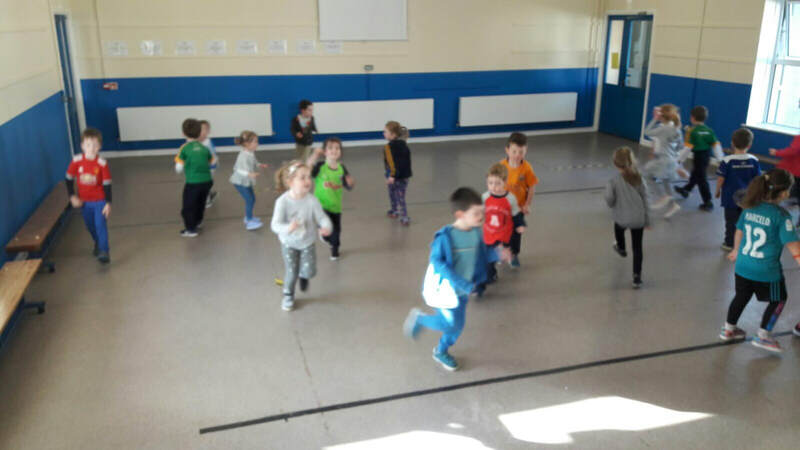 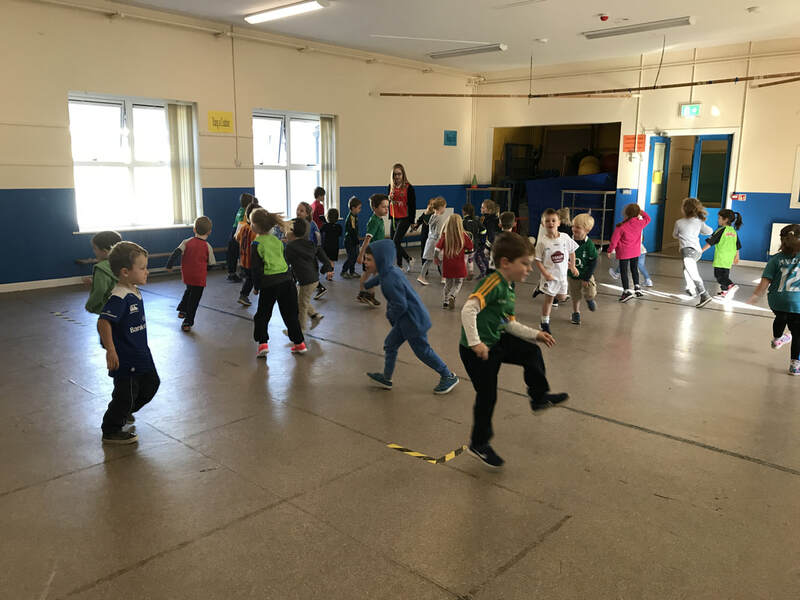 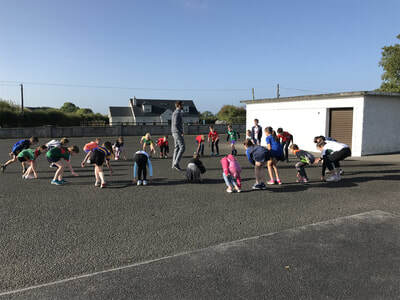 In Scoil Oilibhéir Naofa we recognise the importance of exercise for the mental and physical development of our children. 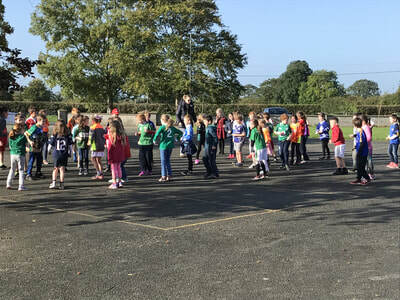 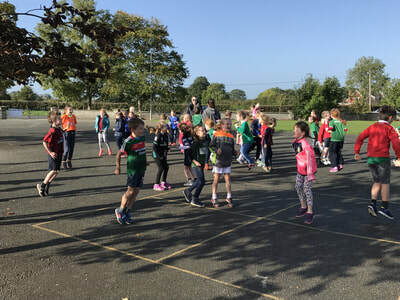 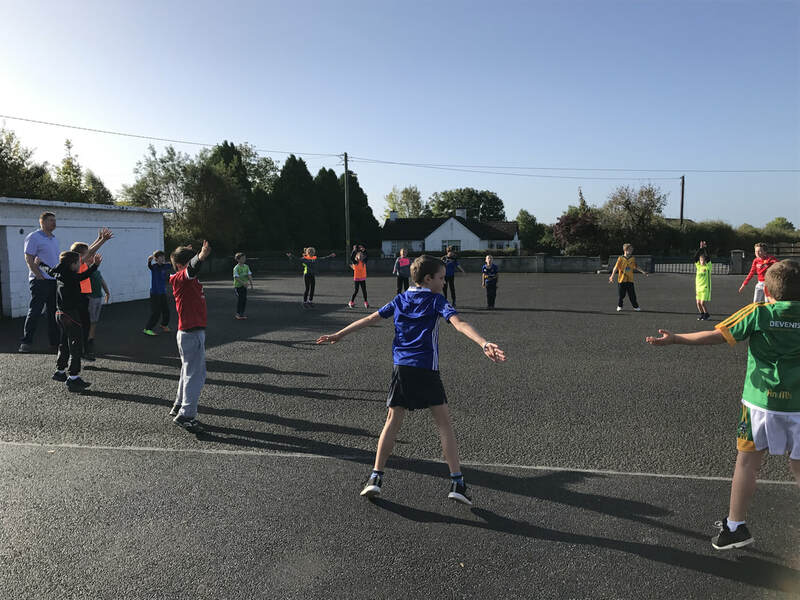 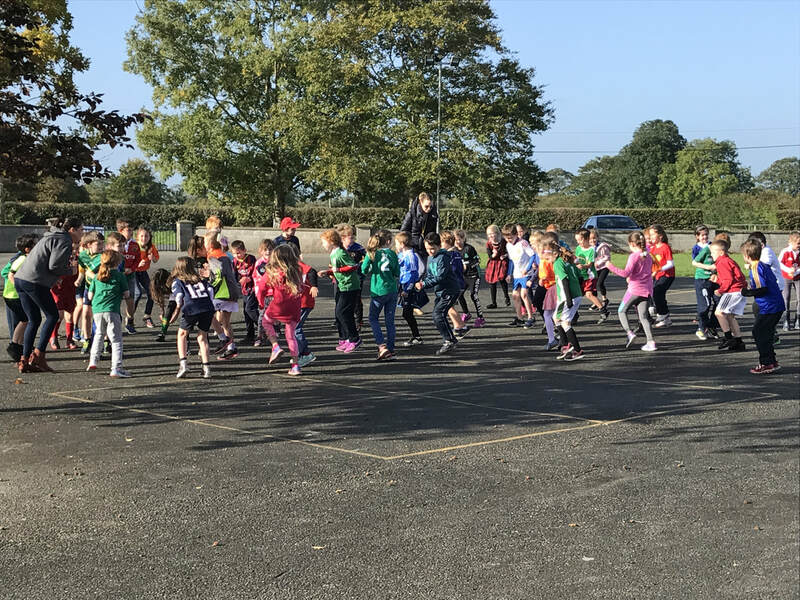 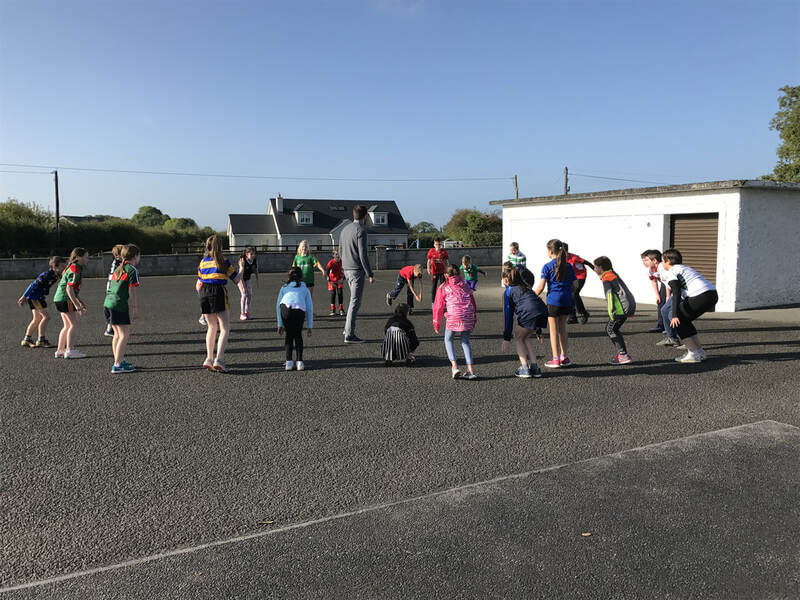 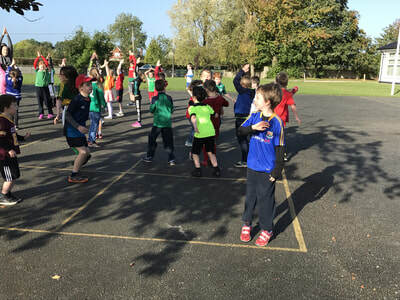 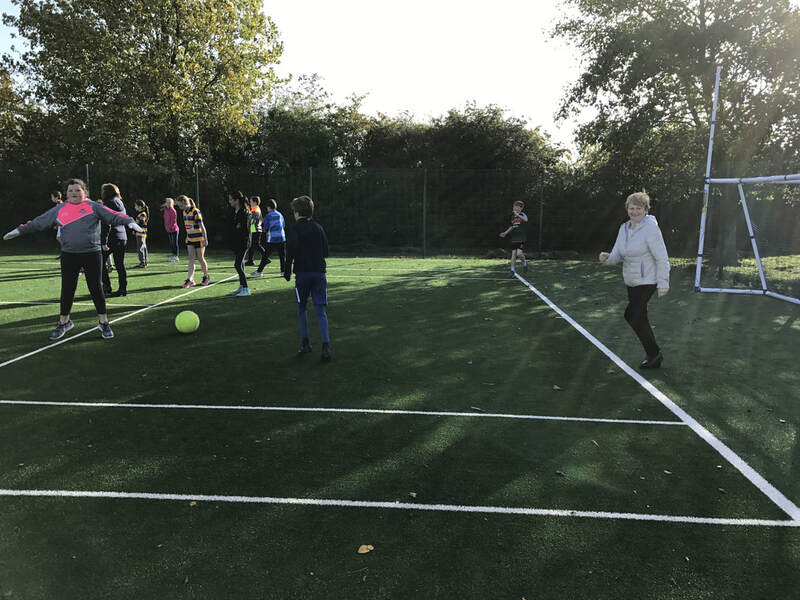 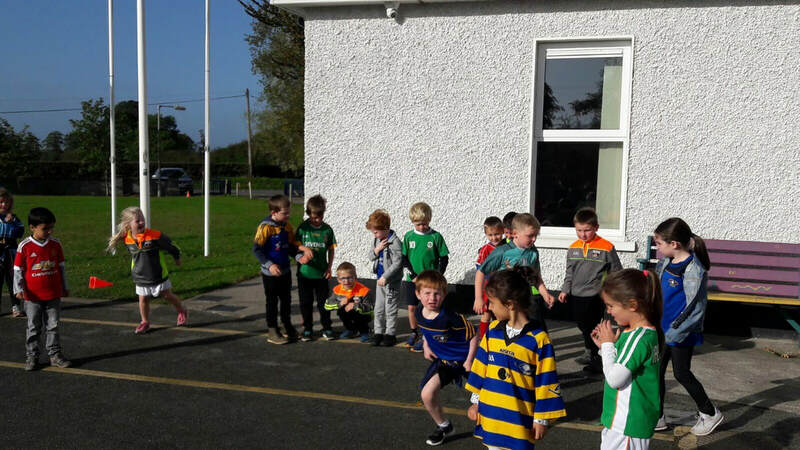 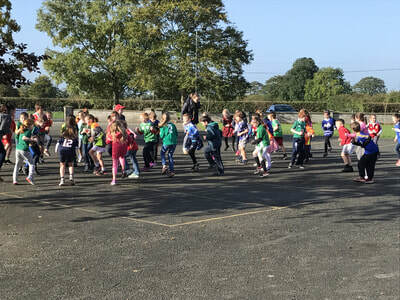 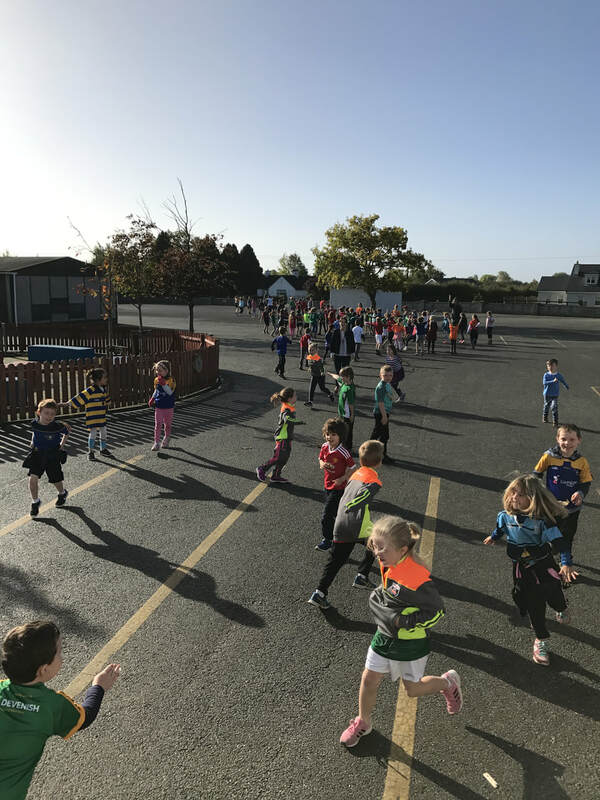 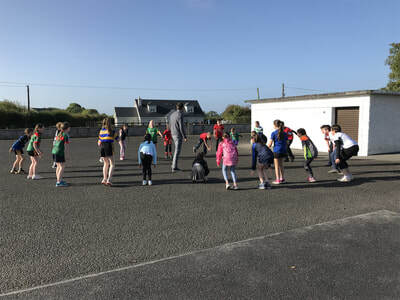 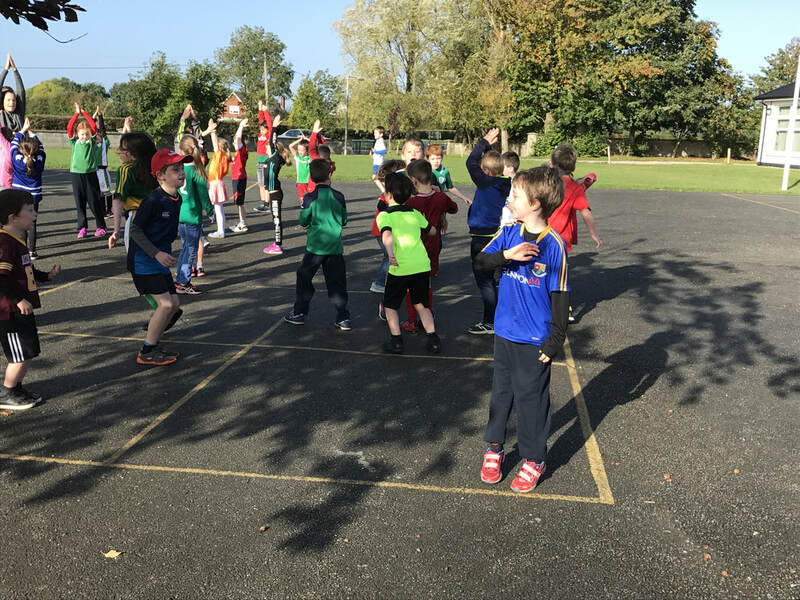 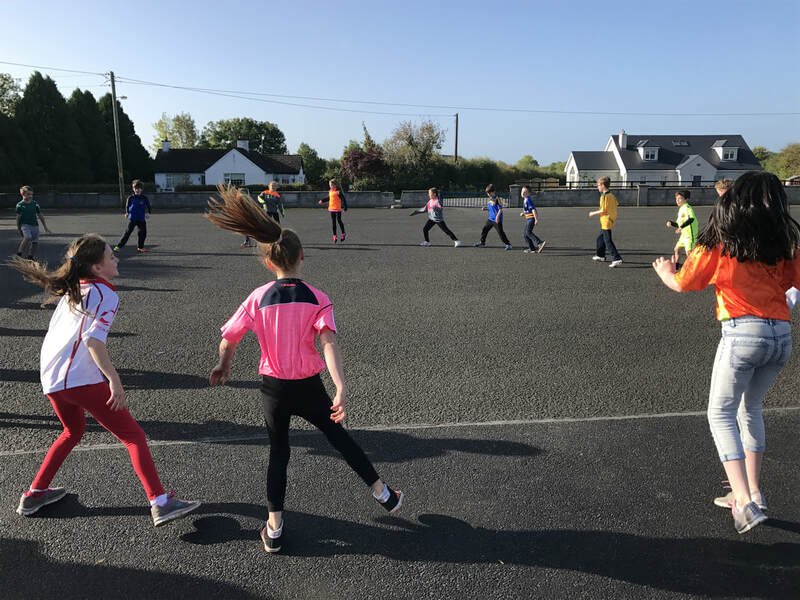 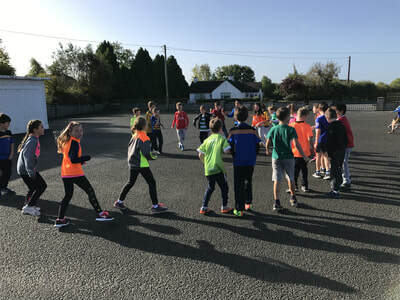 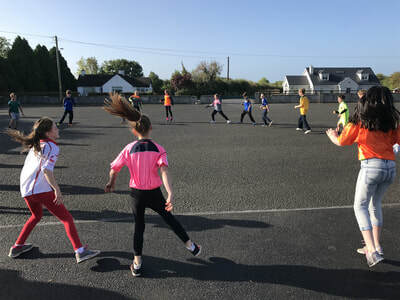 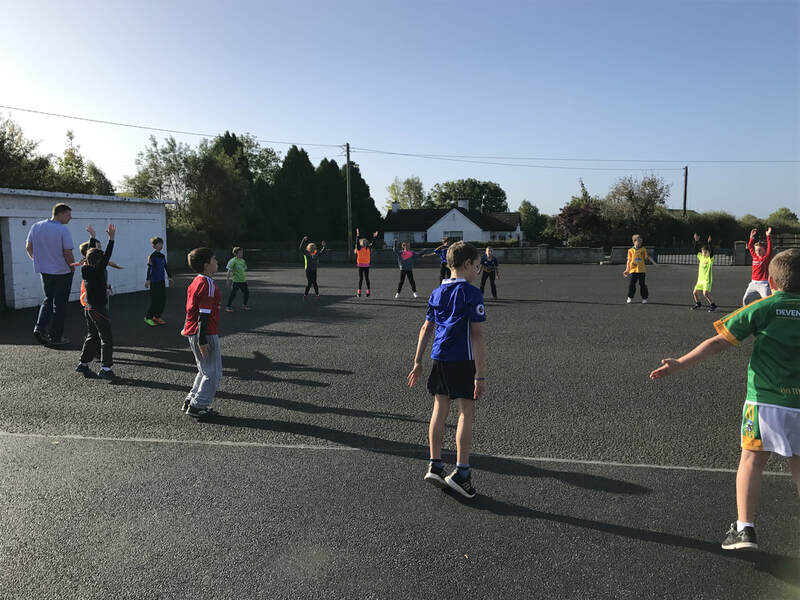 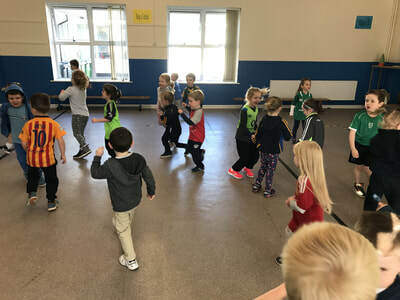 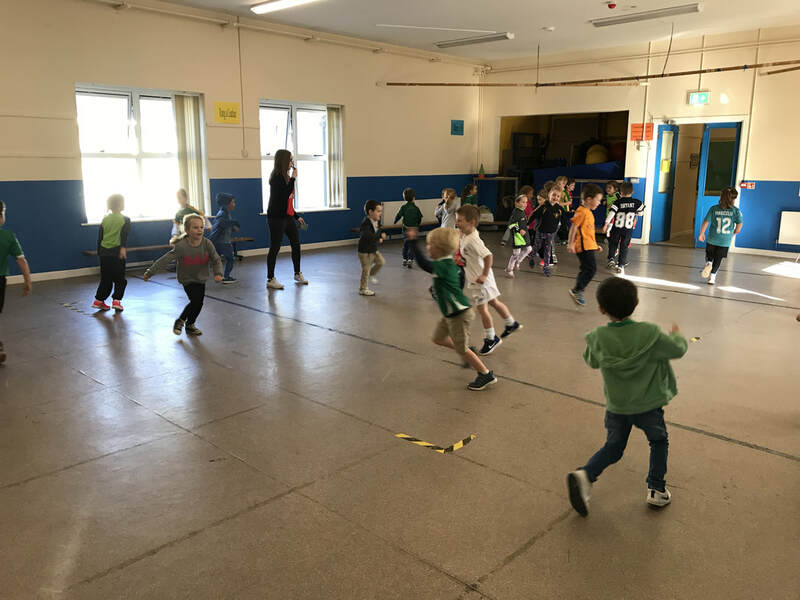 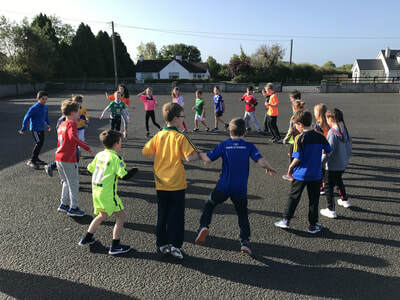 As part of the EU week of Sport, which ran from the 25th to 29th September, teachers allocated time on a daily basis for the children in their class to “run a mile with a smile”. 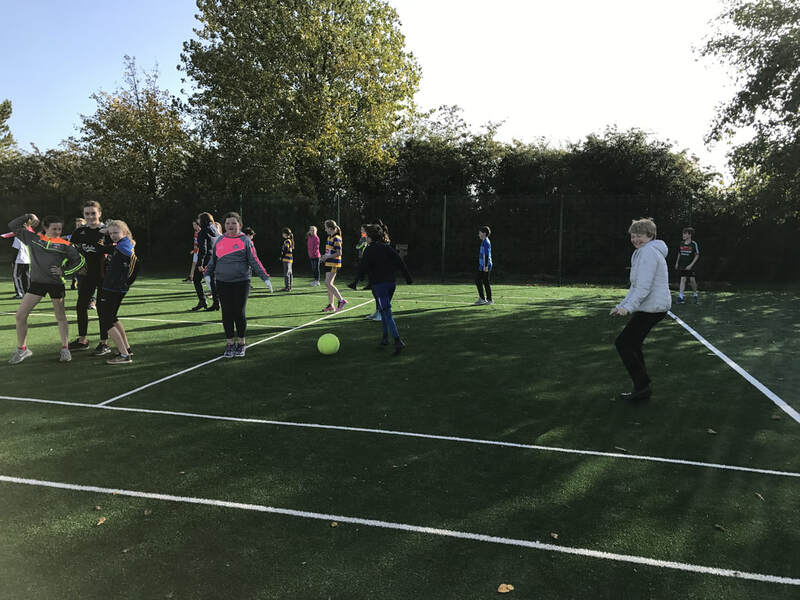 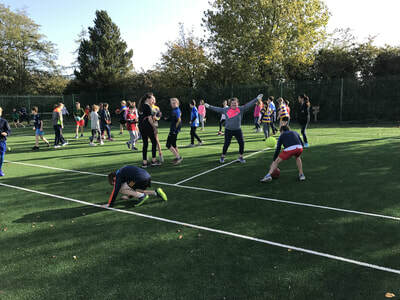 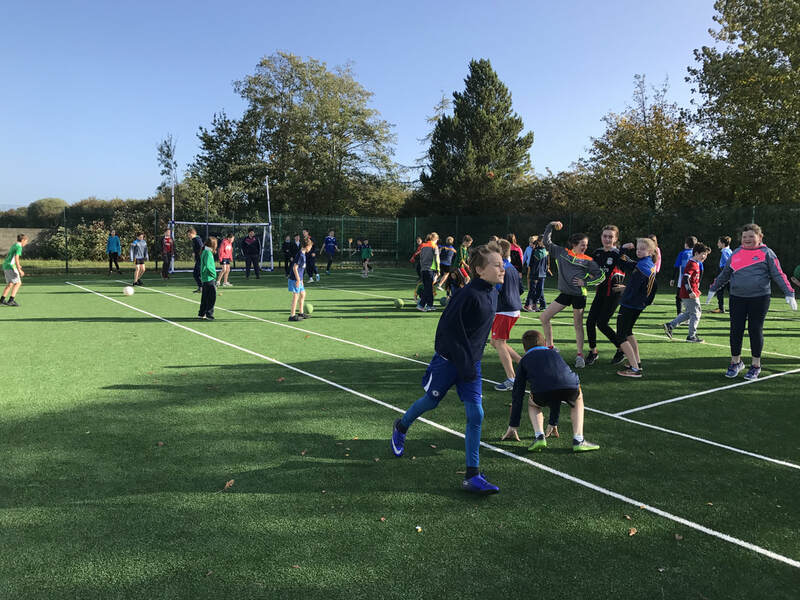 This culminated at 10 am on Friday with the entire school participating for 10 minutes in a range of activities, which, as can be seen from the photos below, included football, chasing, agility exercises and parachute games. 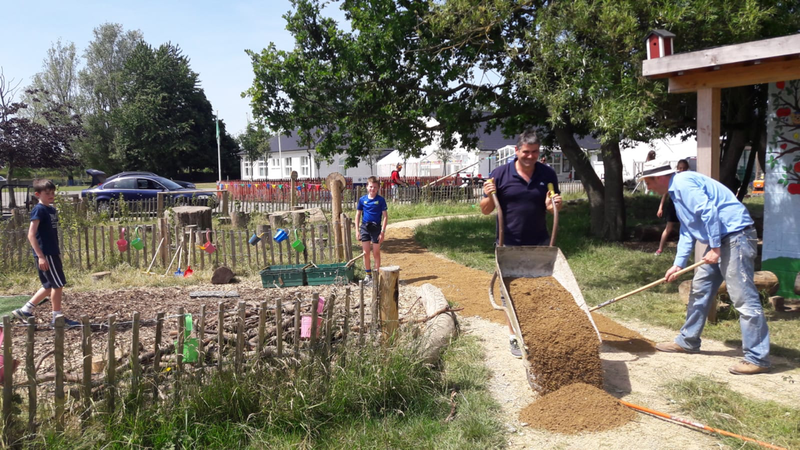 Browse through the slideshow below to view images from our fabulous new playscape! 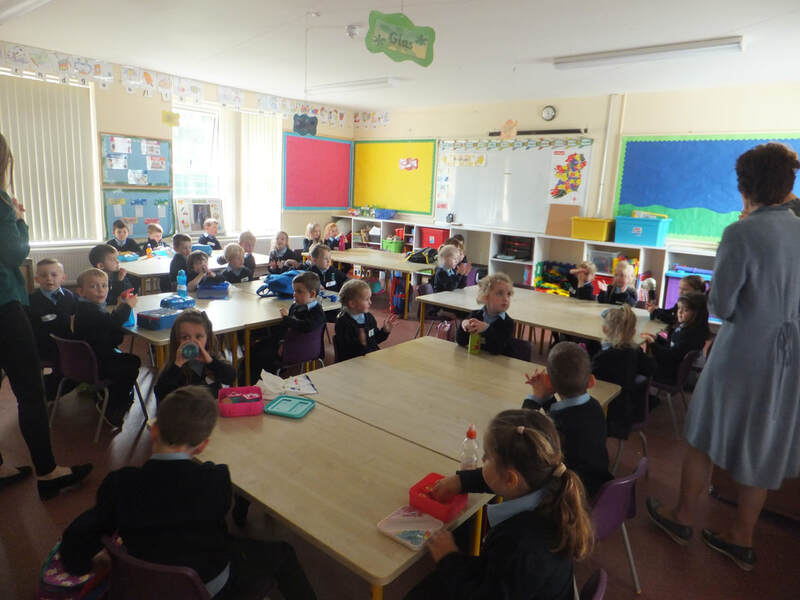 31st August 2017 - First Day at School! 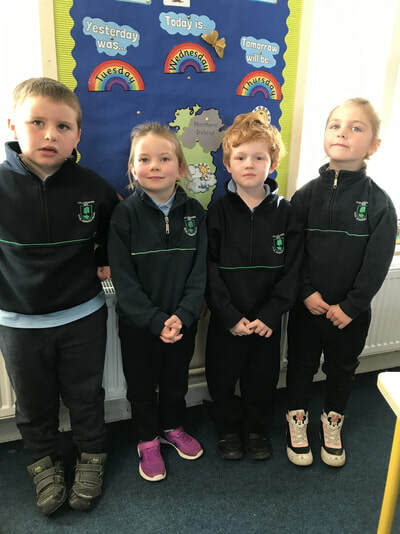 A huge welcome to all our Junior Infants! Check out their ﻿class profile page﻿ for more photos of their first day in Scoil Oilibhéir Naofa. 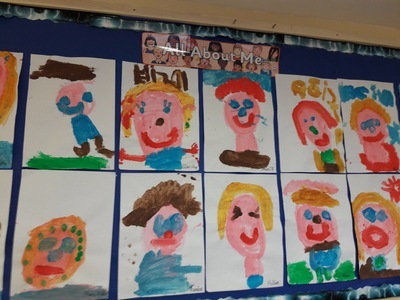 ​The Board of Management of Scoil Oilibhéir Naofa welcomes this very positive and affirmative WSE report. The report acknowledges and affirms the commendable learning achievements and the quality of teaching in our school. 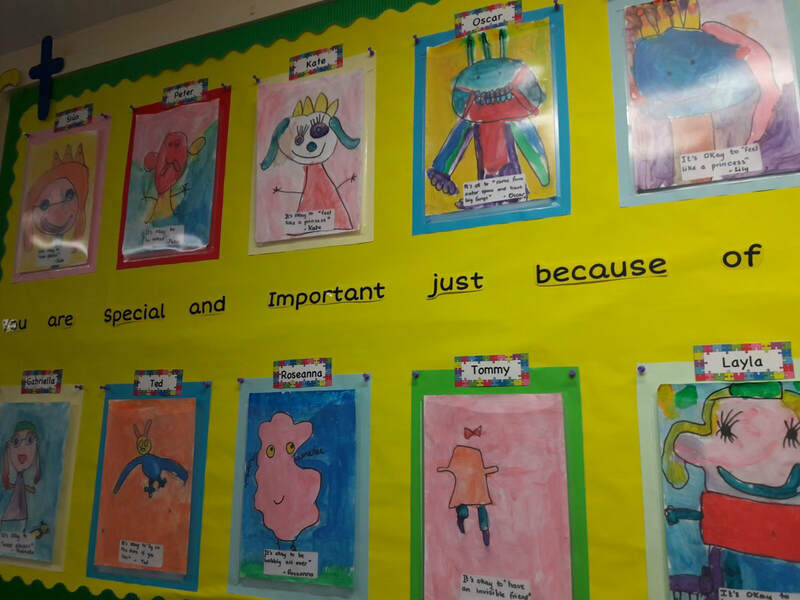 The Board is pleased that the report also affirms the very high standard of support for pupils’ well being. The Board of Management believes that this report is a tribute to the commitment, dedication and vision of the school staff, parents and wider school community. The Board notes the recommendations made and will support the school in their implementation. 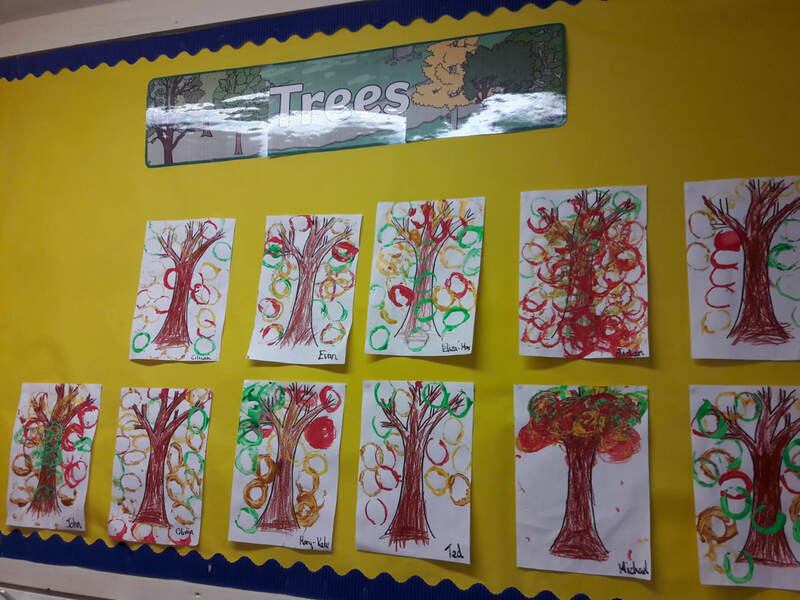 Assessment information will continue to be used systematically to guide planning and approaches to differentiation. Teachers have received preliminary training in the new Primary Language Curriculum and specific curriculum-based learning outcomes are identified in the planning for all classroom interventions. 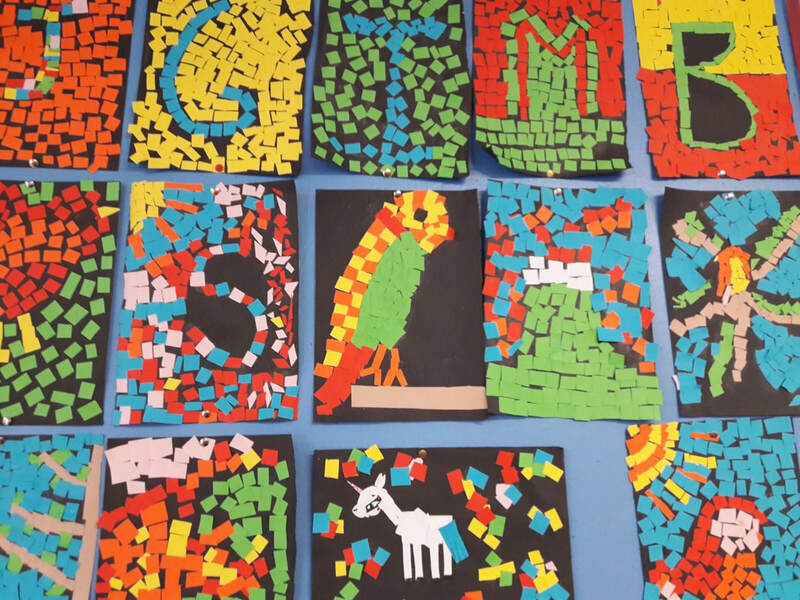 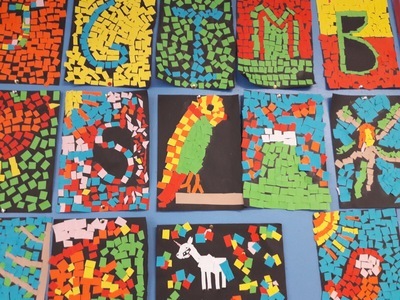 The targets in all individual support plans for pupils with special educational needs are outlined in specific and measurable language and are closely linked to priority learning needs. The Board of Management acknowledges and supports the participation of one of the learning support teachers in the post-graduate diploma in inclusive, learning support and special education in 2016-17. 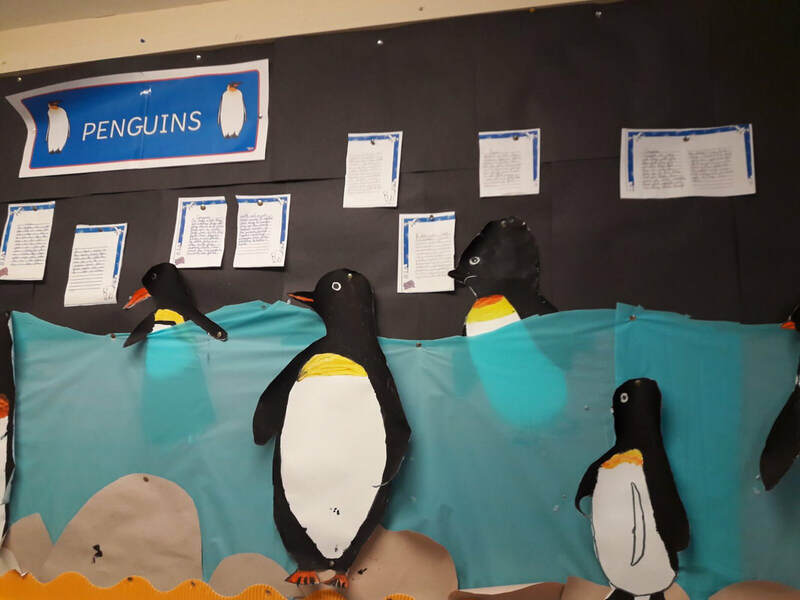 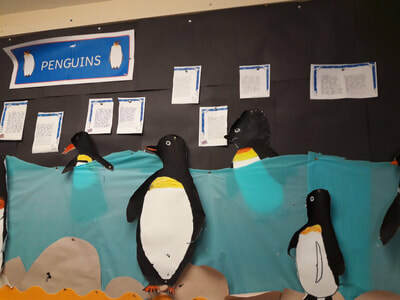 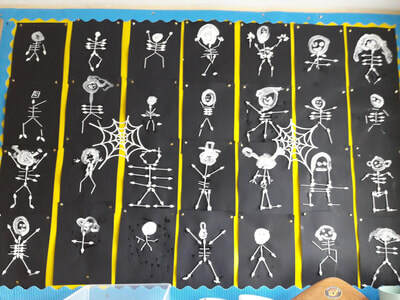 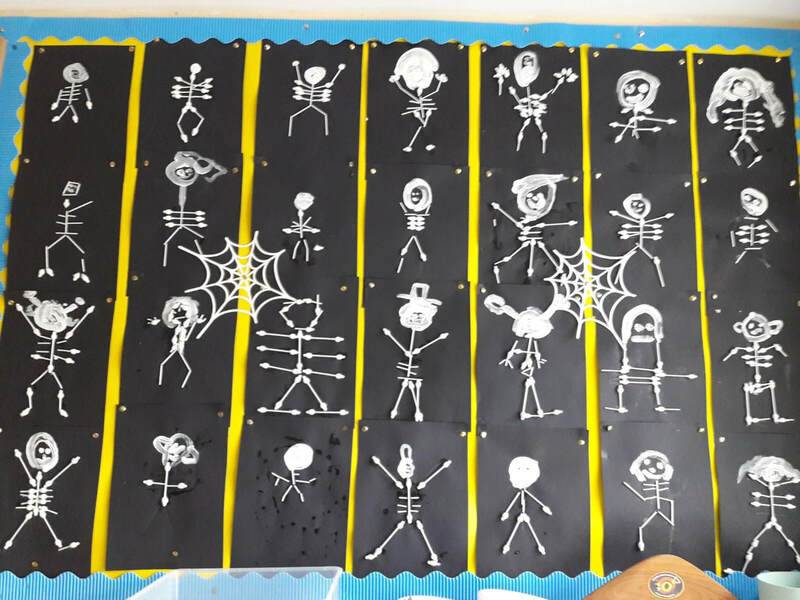 Your child's class profile page is updated termly. 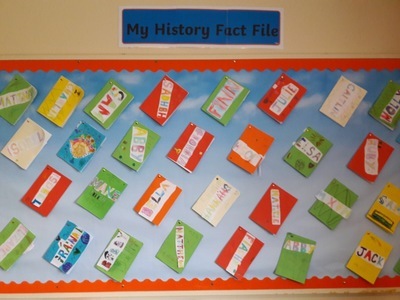 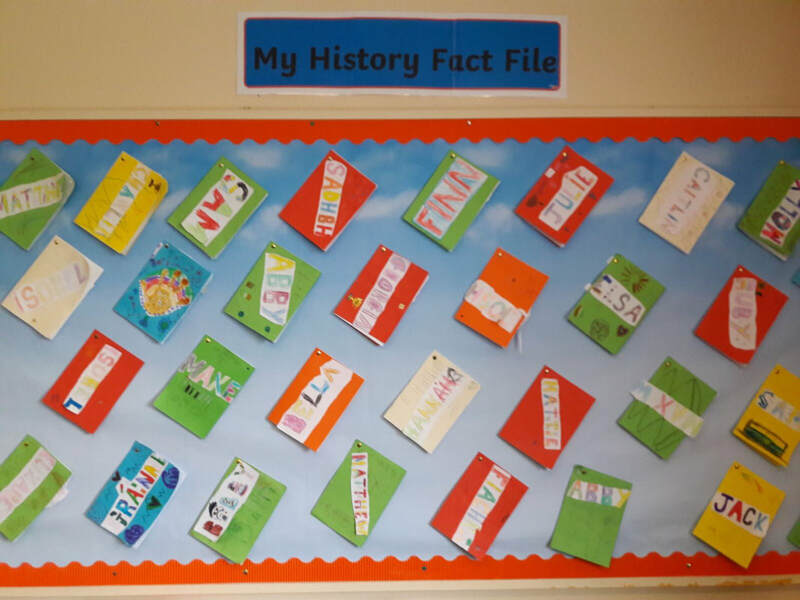 The teachers have undertaken training to update these pages for their individual classes. We are very grateful that they are taking the time to upload some beautiful photos and snippets of the children's day at school as we appreciate how already full and busy the teachers are in class. 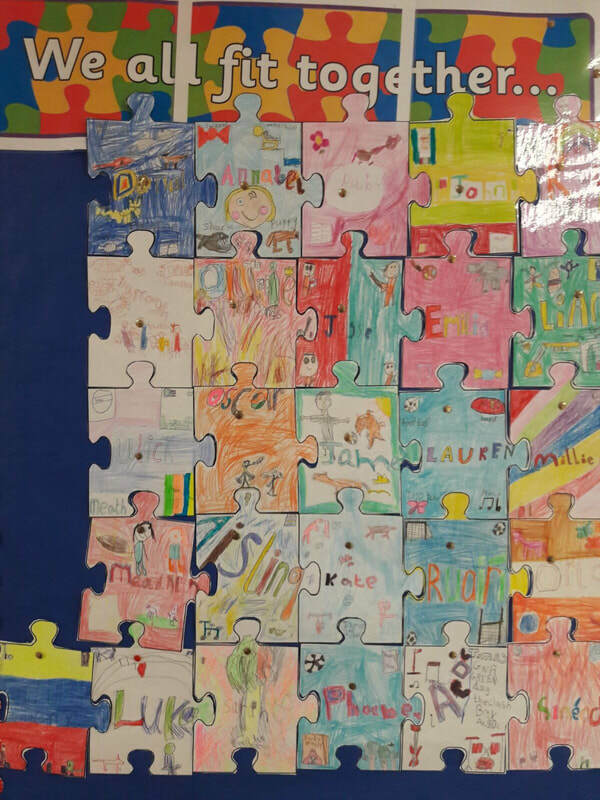 We would love the help of liaison parents to volunteer to assist teachers in the classroom with this.